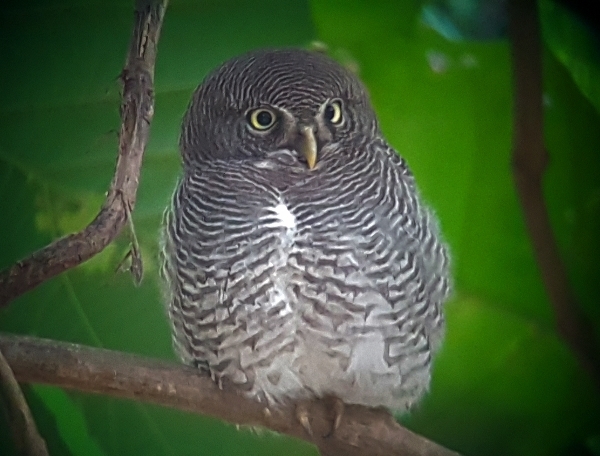 TRANSFER FROM NUWARA TO TISSAMAHARAMAYA (TISSA) - A FOUR OWL DAY! WEATHER: a cloudless sunny morning was chilly to start with. As we drove south it got warmer and warmer. Hot and humid at Tissa. Before we left for the south-coast we had a pre-breakfast outing to look for the endemic Sri Lanka (formerly Scaly) Thrush. We left at 5:45 precisely in order to arrive at the thrush site dead on 6am. We waited in the dark until sunrise around 6:15 and searched the designated area for the Thrush, our hopes were raised when we could cleary hear it singing not too far into the forest, but after waiting for another 15 minutes we decided to take a walk and look for the bird, without success. After breakfast we packed up the bus with our luggage and set off, heading southward. 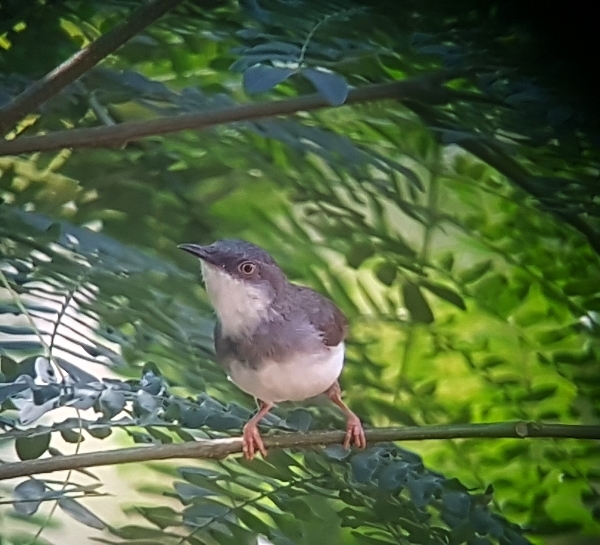 After an hour or so on the road we stopped at a regular ‘birders’ venue called Surrey Hotel, where we took a long walk in a very forested area next to the hotel. Our target bird was the Brown Wood Owl, this bird was very hard to find and when we eventually found it, it was sitting deep inside a bush. A great bonus for us was the sighting of an ORANGE-HEADED THRUSH what a stunning bird and something special for me personally as I had missed it on my previous two visits to Surrey Hotel.. We also saw many other species during our hour-long walk. 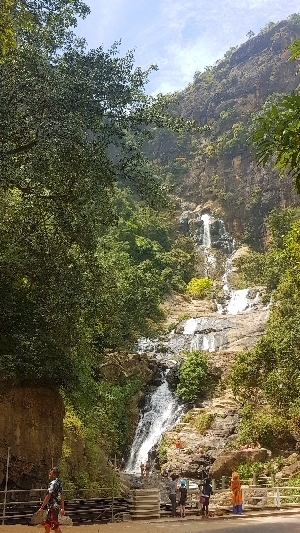 We continued our journey, stopping for lunch at one of the most beautiful waterfalls in the country, it was crowded with tourists but still nice to see. Our arrival at our hotel at Tissamaharamaya (Tissa for short) was around 2pm, the Hibiscus Hotel has wonderful grounds, a swimming pool, superb accommodation and lots of birds. Indian Peafowl was a new species for the list. At 3:30pm we set off for our birding and what a great time we had, we saw just over 70 species during the 3 hours that we were out, amazing. 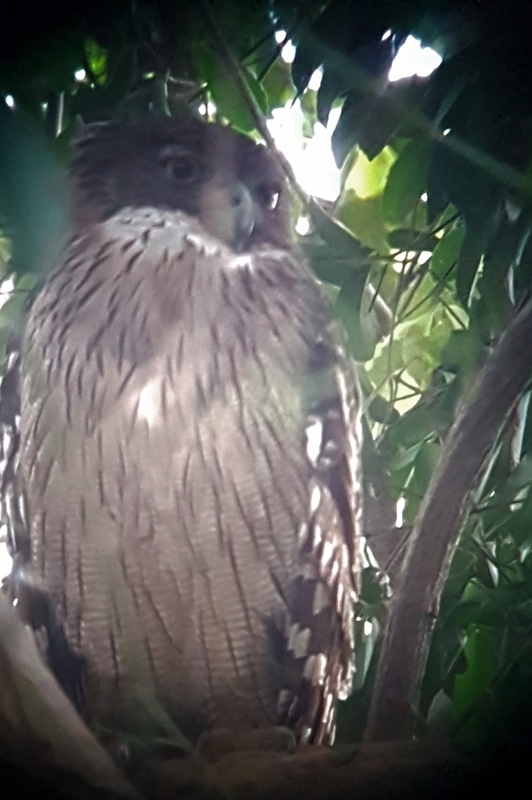 Firstly, we went to two private spots where we shown two more owls, the first was the cute Jungle Owlet and the second was the huge Brown Fish Owl, both birds showed well. 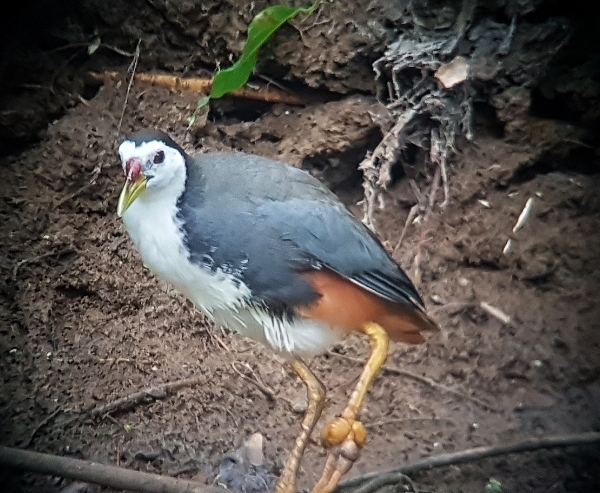 We also saw White-bellied Sea-Eagle perched and a White-breasted Waterhen close up. The best part of the day was easily our visit to the local ‘Tanks’ at Yoda Wewa, these huge water storage reservoirs are an amazing engineering feat and a clever foresight, considering that they were constructed over 700 years ago. Now they are a wildlife haven and a source of fish and water for the locals. If I listed all the species that we saw I would be here until midnight, but suffice is to say, that we saw an abundance and a variety of water birds that would be hard to match anywhere. 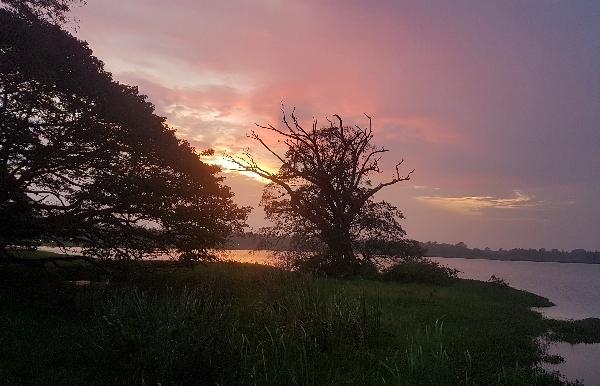 Egrets, Herons, ducks, waterhens, Jacanas, terns, kingfishers, cormorants of 2 varieties, storks, ibis, pelicans, bitterns and all the smaller birds in the surrounding bushes. There were Brahminy Kites, White-bellied Sea-Eagle and Grey-headed Fish Eagles, a Shikra flew over and dozens of terns skimmed the water. 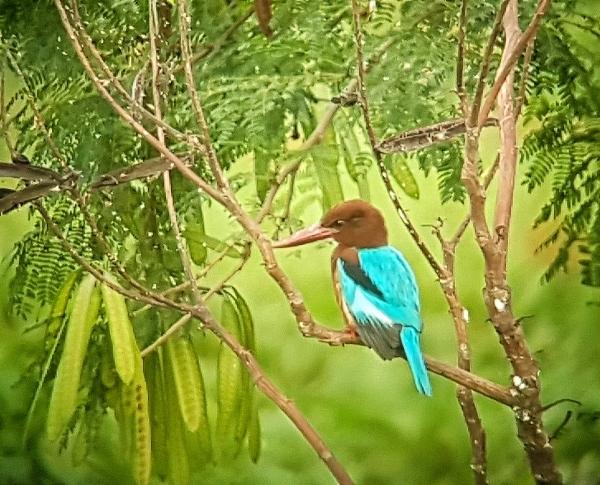 Outstanding sightings for me were Green Bee-eaters, Sri Lanka Woodshrike, Sri Lanka Green Pigeon, Yellow Bittern, Watercock, Painted Stork, Pheasant-tailed Jacana, Pied Kingfisher and just the overwhelming number of birds. To top the day off nicely we stayed until nearly dark, it was a beautiful sunset and a bonus was the appearance of the much anticipated, Barn Owl, two of these beauties emerged from a hole we were watching, so we completed a FOUR OWL DAY. Dinner Was excellent, taken in the second-floor restaurant of the hotel, a nice cold beer went down well too.